Most of our school year is buried deep under a blanket of snow. We spend our time in doors looking longingly out the window. While we continue to do science during that time, our study of GOD-made themes is limited to what can survive freezing temperatures. Who ever said learning has to be boxed up with all the workbooks and curriculum guides at the end of May? I'm a firm believer in "summer gentle school". This means that we are able to learn about nature more naturally...more organically. We learn it simply...with observation and exploration. Towards the end of each spring, we sit down for a big brainstorming session. I ask lots of questions and I listen with earnest in hopes of guiding my children towards a summertime science interest. 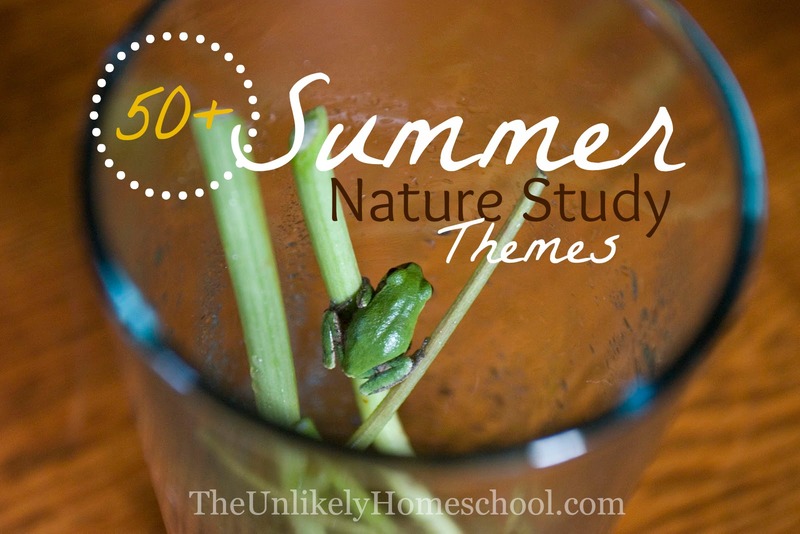 By the end of our family Q&A, we take a vote to decide on one group nature-themed project that we will learn about TOGETHER throughout the entire summer. 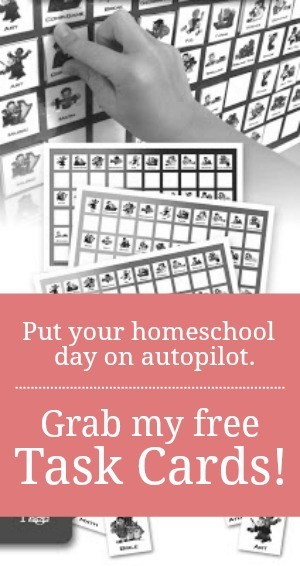 This allows all of my children to have a voice in their own education and helps them explore new topics of study that they might not otherwise have chosen. This year, the kids have decided to spend the next three months studying horses. Like in year's past, our learning will be done gently by reading lots of living literature books, maybe completing a few projects and notebooking entries, but mostly by observing and discussing horses TOGETHER. I don't do a lot of planning for these summer studies and we don't intentionally set aside time each day to accomplish anything in particular. We just keep our eyes open. We explore. We take our longing-to-learn with us wherever we go. Inevitably, we stumble upon lots of real life examples of what we'd only be able to observe in books during the winter months. Interested in joining us for some summer-long NATURAL learning of nature? 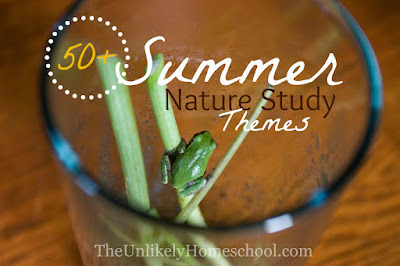 Here are fifty nature study themes that my kids and I have considered over the years. While you are observing and exploring, you will no doubt want to display or curate your specimens. Beautiful waterfalls and rocks! Where are they located? It was a local state park. 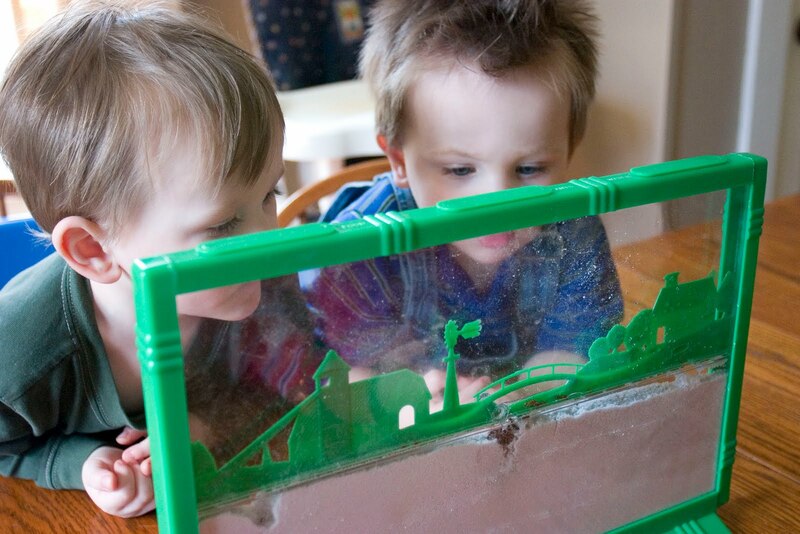 Love the ant farm idea. Where did you get the ants from? Did you catch your own? A friend of mine recommend ordering them online at http://www.antsalive.com.